Balance bikes have revolutionised the way that children learn to ride over the last few years, and there is now a huge range of models that allow children to learn to balance, steer and understand the concepts of riding a bike. 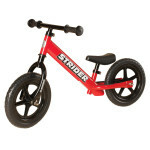 The vast majority of these bikes are designed for children from as young as 18 months through to the age of 5 or 6, as by this time most children will be ready to move on to a ‘proper’ pedal bike. 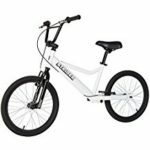 However, there are some balance bikes designed for older children between 6 - 12 – and as balance bikes are such a fantastic product there is also a growing market for companies to produce an adult balance bike. An adult balance bike is developed for teenagers and adults who might be learning to ride for the first time. They are also very useful for those who have special needs challenges, providing the opportunity to enjoy the freedom and excitement of cycling. 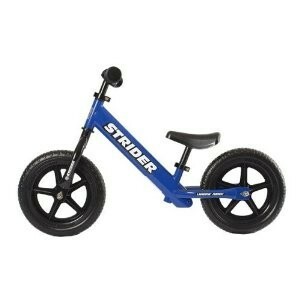 There are only a handful of adult balance bikes available at the moment, and the best models are reviewed below. The Pedibal Suprema is a unique bike that is suited for teenagers and adults that are looking to develop the skills associated with riding a bike for the first time. 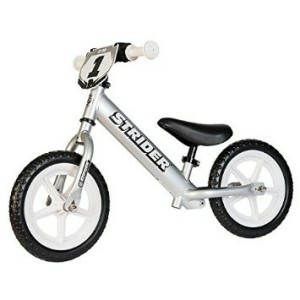 This bike acts as a balance bike for adults, with a range of features including a lightweight aluminium frame, 20 inch wheels and pneumatic air tyres. However, the unique feature of this bike is that once the concepts of balance and steering have been mastered, it can be adapted to full pedal formation with the inclusion of 7 Speed Shimano gears for the full riding experience. This means that the bike will be with you throughout your journey from learning to ride to complete cyclist! Another great feature of the Pedibal Suprema is that it can be folded away for easy storage, and also comes equipped with a toolkit and carrying bag for running repairs. 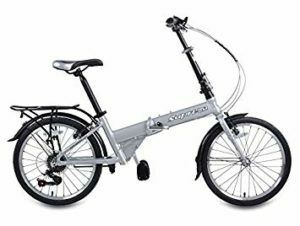 The Pedibal Suprema weighs just 14kg as a balance bike and 16kg with the pedals and is suitable for heights 4ft 10 in – 6ft 4 in. Age range 11 years to adult. It is available for £339 using the link below. The Strider 20 Sport is a beautifully designed balance bike with wide handlebars, a lightweight frame and all of the features and components that you would expect from a quality manufacturer like Strider. These include cross terrain tyres, front and rear v-brakes and a fully padded seat for comfort. The saddles is easily adjustable, and the height range is from 67.3 – 81.9cm. The simple design of the bike allows the rider to balance very easily, and the footrest allows the rider to coast along once they have built up some speed. The footrest can be added or removed according to the riders ability. 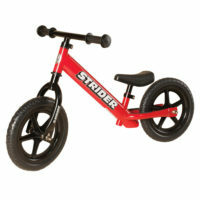 The footrest also means that advanced riders can build up some speed and perform some amazing tricks on this bike. There are already several competitions and races for balance bike users including the Strider Cup! 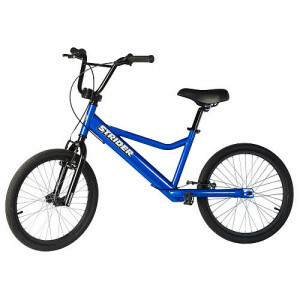 There are still relatively few adult balance bikes available, but if the popularity of children’s balance bikes is anything to go by then we are sure that it won’t be long before there are more and more models available for teenagers and adults. 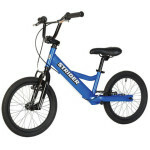 There are plenty of 6-12 year old already tearing it up at the skate board parks on their balance bikes so they will need larger bikes as they get older! We will be sure to review as many of these bikes as we can as they get released! Happy riding.